We’re celebrating Bean Ninjas 1st birthday! In some respects it’s hard to believe that we’ve already been around for 12 months and in others it feels like I’ve been dedicated to Bean Ninjas for a lot more than 12 months. As founders Ben and I are so proud of how far we’ve come and the team we’ve built. Bean Ninjas was just an idea 12 months ago and now we have an amazing team based in 3 countries. For a deep dive on each of these highlights, as well as tips and insights that you might want to apply to your own business, continue reading. At 30 June, after our first 12 months in business, we had 69 customers and $14,650 of monthly recurring revenue (MRR). 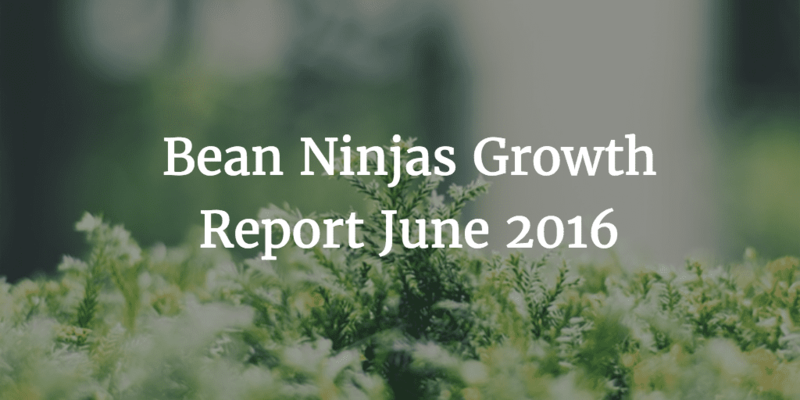 This is up from 53 customers and $10,500 of monthly recurring revenue (MRR) in April 2016. Our focus during April and May was on building our internal bookkeeping processes ready to scale up for the Australian End of Financial year. This resulted in fewer new sign-ups during May, but was worth the effort. June was a huge month for us and our hard work on processes meant we were able to onboard 14 new customers without a problem. We are in the final stages of handing over our new customer onboarding process to one of our team. This has taken months of hard work while we documented and improved the process. Our churn percentage this month was 4.3%, which is still higher than we would like. We would like to get this under 1%. We’re getting better at identifying who our ideal client is. Our next step is to improve our screening process to make sure we’re working with people who are the right fit. Our focus is on long term business growth rather than on short term sales, so it is better for us to sacrifice sales in the short term to make sure we’re working with people who will have a great experience with us. Suggested Resource: Use this free Ideal Client worksheet to work out who your ideal client is. We aim for response times of less than 24 hours. We had trouble with our response times during March and April and I’m proud to say these are now on track. We now report on these weekly at an overall business level (making it a priority for the team) and also track this for each bookkeeper. Ben posts the results in one of our Slack channels every Monday. We also got better at using Helpscout and archiving old emails that were impacting our response time ratings. By making this a priority and tracking these metrics with the team we saw some dramatic improvement. We’ve been able to identify these sources as they are recorded in the onboarding call notes for each client by Ben. In the near future we’ll look at utilising a CRM to track this – any suggestions on which CRM to use? I ran a ‘writing everyday for the month of May’ challenge for members of the 7DS Pro and SuperFast Business groups. This was partly to write blog posts both for Bean Ninjas and for Smallville and also to create the content for a sales funnel. It proved to be far more difficult than I thought to make the time to write everyday. 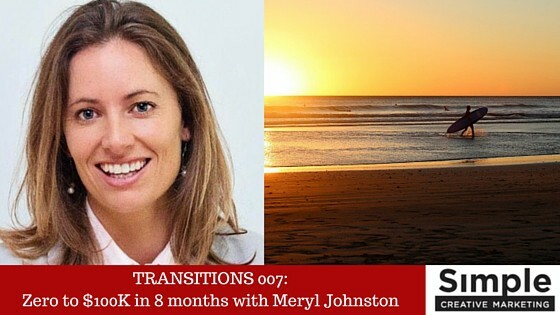 It was a reality check for me in terms of how involved in business operations I really am. This was a big motivator for Ben and me to hire a Bookkeeping Manager to help run the team and to systematise our onboarding process. Walking the tightrope between business growth and customer experience – This post had some expert contributors including productised service gurus Dan Norris and Brian Casel. We’ve created an opt-in which is a guide on how build an online bookkeeping system. 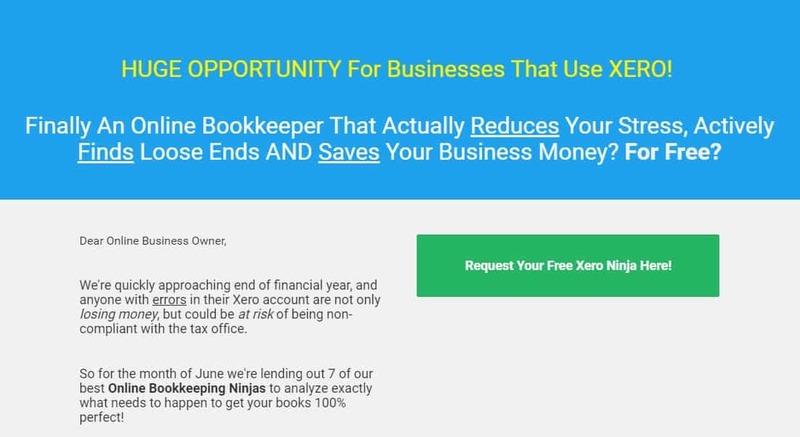 You’ll note the ‘take the stress out of your bookkeeping’ opt-in box to the right of this blog post. Once someone opts-in they go into an email sequence in our email automation system (we’re using Drip). Building our email list is really important to us. You can build an audience on other platforms like Facebook, but someone else controls that and can change the rules or charge you money to reach your audience. You own your email list and people who have opted in to your list want to hear from you. We have an opt-in to encourage people to signup to our newsletter. We then have an email sequence to welcome people to our newsletter and help them to learn more about us. We talk about our team, values and journey so far in the welcome sequence. So far we measure the number of new email subscribers each month. We started experimenting with Facebook ads a few weeks ago. Getting our name out there to people who aren’t familiar with our brand. 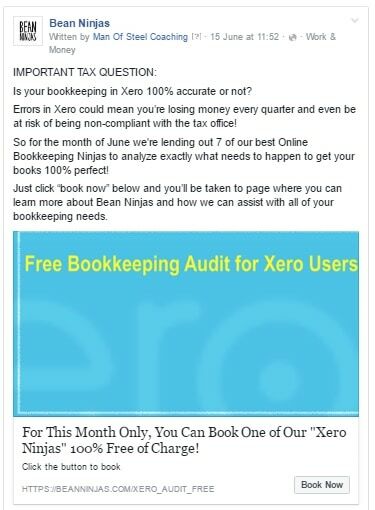 Business owners who are new to our brand and signed up for the offer, did not then share their Xero logins with us, so we couldn’t complete the audit. I followed up with a phone call where possible and soon realised that the leads required more education about who we are and why we’re qualified to help them with their bookkeeping. Building relationships and trust is a strong point of ours, but we’ve yet to find a way to successfully do this with facebook ads. Testing FB ads inadvertently reinforced the value of content marketing for our business, especially when it comes to education and establishing credibility and trust. We hadn’t fully appreciated the value of all the podcast interviews and blog posts that we’d written previously. We had 2 clients sign up for ongoing bookkeeping services from seeing the ads (instead of taking up the offer promoted). These clients already knew of us. An accountant contacted us to discuss an ongoing relationship. More specific targeting and promoting valuable content instead of a direct offer. While focusing on our internal processes during May we also took the opportunity to review our team structure. We had 4 new bookkeepers start during March and April and training and managing the team was taking up a significant chunk of Ben’s time. 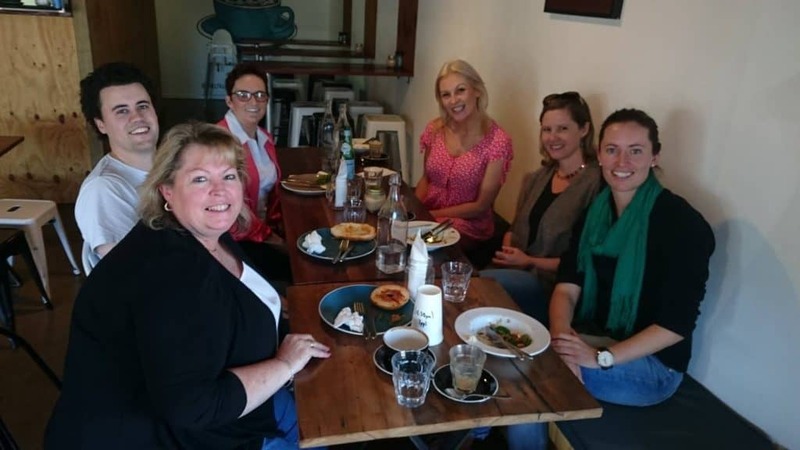 Here is a photo of a team lunch during a recent visit of Ben’s to the Gold Coast. Updating our Job status spreadsheet. This is a spreadsheet where we track every deadline for every client to make sure we are always on track. This information is in Trello, but Ben and I want to be able see at a glance that everything is on track. We could probably automate this, but the manual process means that our Bookkeeping Manager is on top of what is happening with each of our clients. It also means that the bookkeepers need to keep their client Trello cards up to date so that Kaye can see at a glance that everything is up to date and record this. With new bookkeepers starting regularly staff training has also been taking up a lot of Ben’s time. We are looking forward to Kaye helping with this after our next round of recruitment. In hindsight we should have hired a bookkeeping manager earlier and then had them train our four new bookkeepers during March and April. We’ve known we needed a Bookkeeping Manager since January, but cashflow had been holding us back. In May we made a decision that we needed to hire the Bookkeeping Manager to grow and that if Ben and I needed to reduce our draw (salary) for the next few months then we’d deal with that. We also decided to introduce discounted annual payment plans for our existing clients. This also helped us get over the short-term cashflow issues. Ben and I met for our quarterly business boot-camp during June. Our focus was on systematising our onboarding process. We see this as a vital part of building a strong relationship with our clients. This is our chance to set the tone, prove ourselves and deliver on what we promised. 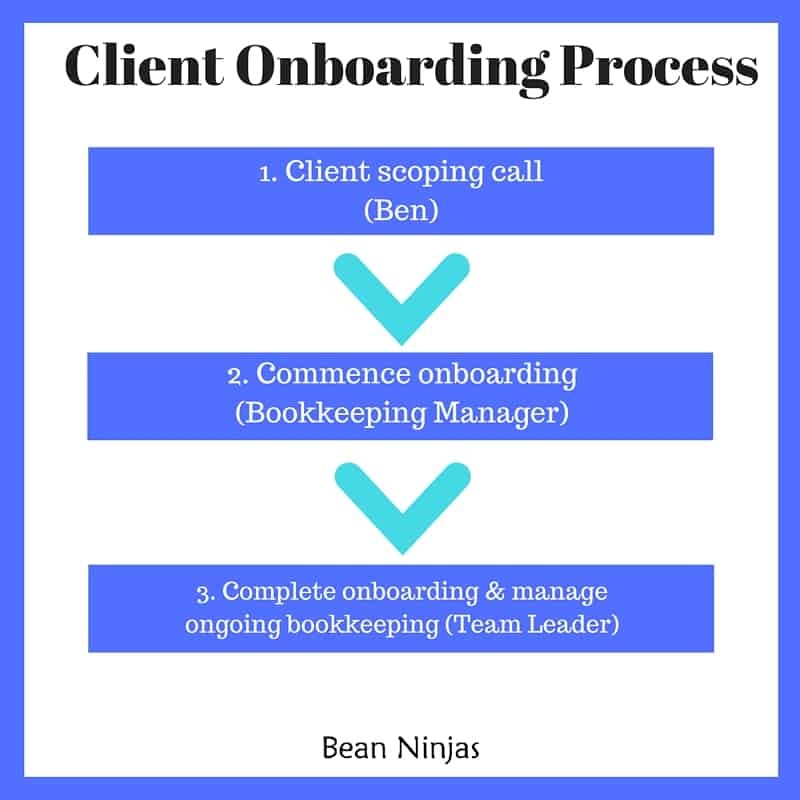 In the early days it was just Ben and I handling the scoping call, onboarding and then ongoing bookkeeping. We didn’t have a set process for onboarding and it was taking huge chunks of time. Our new process includes clear areas of responsibility and a handover process. 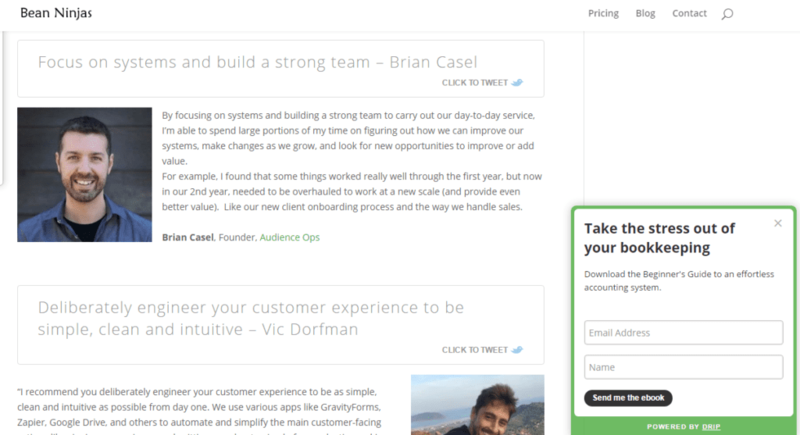 You can check out our onboarding process in more detail here. The End of Financial Year in Australia has arrived, so that will be our main focus for July and August. Have any questions or thoughts about what we’ve shared? Leave us a comment and we’ll be happy to discuss further with you.